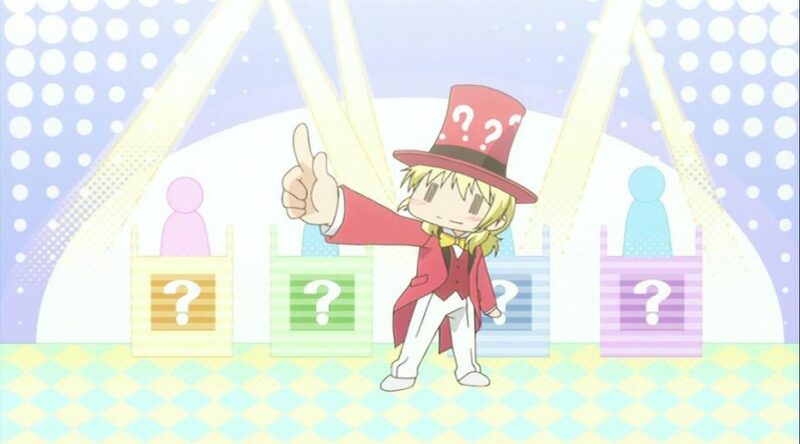 Our Q&A service is back after some delays, but once again so loaded with anime industry questions that we’ll splitting the answers into two posts. For now, let’s address R&D in the anime industry, the process of delivery of animation materials, the role of layouts in Japanese animation and some more specific creator and studio inquiries. — Many game and VFX studios have people (in many cases entire teams) such as Technical Artists/Directors and Tools Programmers whose job is to analyse the current production pipeline and work with artists to figure out how to improve it, both through improving workflows/methods and by creating tools to assist artists in their work (more often these things go hand in hand). Are there any roles like this in anime for any part of the production pipeline (not just animation)? Kevin: The answer is yes, but it’s not a widespread practice. This is much more common in 3D studios where the tech is inherently more important and things are structured differently to begin with. There are 2D studios with R&D crew but that’s generally limited to either the massive companies or individuals who aren’t exclusively focused on those duties, such as ryochimo. Your standard anime production company is too worried to stay afloat to spend all that many resources to do research, and attempts to revolutionize the workflow (Super Seisyun Brothers and character-assigned animation directors) don’t always end well. — In Shirobako, there are plenty of scenes where Miyamori (and the other production assistants) are driving all over the place to deliver and collect layouts, key frames, corrections, all that good stuff. First of all, how common is this manual system in the industry (I’m going to go ahead and guess the answer is somewhere around “very”). Secondly, how common is it to see teams employ some sort of digital collection/distribution system (I guess based around cloud storage or something along those lines)? And if the answer to the second question is something like “uncommon”, why. Kevin: You guessed it right: manual collection and delivery of assets is incredibly common and a big part of that production assistant job. While Shirobako exaggerated reality for the sake of making an entertaining show, it’s by all means based on the actual workflow, which if anything is summarized for the sake of the viewer’s sanity. That is to say that production assistants don’t regularly race against each other drifting through the city, but everything you see Miyamori do is a standard part of the job. There’s nuance depending on the person and company (I’ve talked with PA who do a more thorough job at checking the quality of the materials than Miyamori ever did for example), but that’s the gist of it. That said, this is obviously not the only means to collect materials. Digital storage systems have been in place everywhere for a long time (some of you might remember that a bunch of Katanagatari production files were leaked years ago after a certain someone hacked their way into White Fox’s FTP) and are even seen in Shirobako itself, where an early episode depicts an incident based off a real problem they had at P.A. Works. 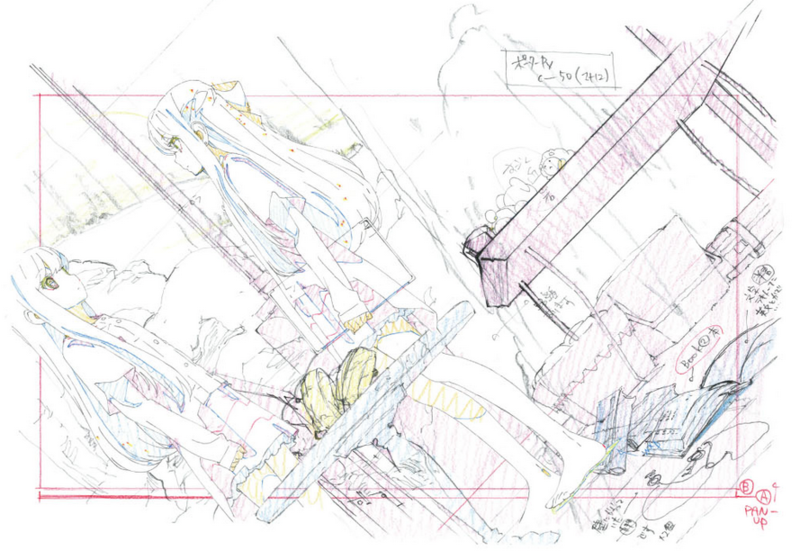 This is generally used for later stages of the production and non-animation elements, though. Most key animation is still drawn on paper and the scanning process has to be careful to make sure all lines are picked up properly, so this isn’t something animators get tasked with themselves and thus the material stay analog and need to actually be transported. But the further digitalization of the production process is starting to bypass that – look no further than the latest episode of Eromanga Sensei, which featured key animation drawn by two exceptional young artists who live in Korea. All the production assistant had to worry about there is that they received the files properly, and to keep in contact with them in case the key staff asked for retakes. Mind you, even in an ideal world without collection and delivery worries, production assistants would still be needed. But as seen with CG production assistants, they’d focus more exclusively on doing the checks. — This might be kind of a dumb question but, what are the layouts exactly?, I’ve heard people say that they serve the purpose of showing how a shot is going to be framed and such, but isn’t that established in the storyboards? Also, who’s exactly in charge of doing layout work? Ryan: Layouts are essentially the blueprints for a cut. They serve as, well, the skeleton of the shot; detailing the framing of the cut, the background and animated elements featured in it, notes for other departments if needed, as well as the positioning of the character and how they’ll move. Storyboards provide a rough idea as to how a shot should look, but it’s the key animator in charge of each cut who’s typically responsible for turning those into a functional scene, which is then shown to either the series director or episode director (sometimes both) for approval. Once they receive the OK, the layouts are developed into key animation. — Can someone please do a round-up of these 6 upcoming KyoAni films with what we can expect to see from them in terms of story, duration, directing, etc? Which ones are you most excited for and which ones not so much? Also, what this means for the studio, are they going to be making less and less tv shows in the future to focus more on their films? And any speculation as to what Takamoto will be doing during all of this? Kevin: That could easily earn a post of its own, possibly a couple! Let me keep it reasonably short, though. The Free! franchise is getting three new films: two character-themed recaps with some extra scenes, and an all-new film this fall. They’re all surprisingly directed by Eisaku Kawanami; Animation Do only has two active directors at the moment so having him lead the project isn’t actually an unpredictable affair, but his (admittedly less experienced) coworker Takuya Yamamura is by all means the Osaka branch’s source of hope after Utsumi’s departure. Judging by his words, Kawanami’s take on the franchise is going to be a much more traditional intense sports title. I find it hard to be excited after having experienced what Takemoto can do with that universe, but I remain curious about the new film. Similarly, Euphonium is getting three films as well, in this case a season 2 recap and two new ones presumably based off the upcoming novels. The franchise hasn’t had the standard relationship between source material and adaptation we’re used to, with the anime explicitly being the reason why the author wants to keep on writing more. The recap will finally mark Taichi Ogawa’s directional debut, hopefully as a stepping stone for him to receive his first standalone project. Naoko Yamada will handle the movie focusing on Nozomi and Mizore (likely by her own choice considering their relationship, which she was too busy to work on because of Koe no Katachi) while Ishihara will be in charge of Kumiko’s second year adventures. And on top of that, Chuu2Koi is getting a film next January as well. That’s the one no one would have bet on, but it might simply be a short movie to finally wrap up the franchise. The studio is definitely moving away from TV anime, but that doesn’t mean quitting entirely. I would expect them to keep using TV production to establish properties (like they’re doing with Violet Evergarden) and them move towards films to expand on those. As much as I’d like them to make more standalone movies, whether they’re original or not, it’s not something producers like to bet on. It’s easy to tune into a new TV/online series, but you have to go out of your way to watch an anime movie and people often don’t do that for new titles – even if they’re the adaptation of a popular source material! It’s a tricky situation. As for what Takemoto will do…work on other people’s projects as storyboarder and unit/episode director until he has something of his own to prepare! 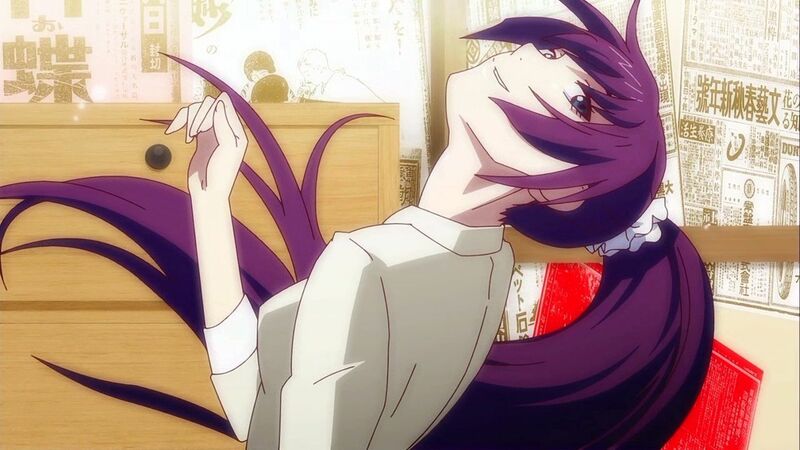 — Is there an individual person responsible for “SHAFT headtilts”? Can you think of any other idiosyncrasies often attributed to studios? Are they generally actually attributable to an individual, or more collective things? Ryan: Most people would assume Akiyuki Shinbo himself is responsible for it, but this one is hard to trace to one single person. It’s been a low-key staple in SHAFT shows ever since the mid-late 00’s, but if anyone’s to be held accountable for the stock it holds nowadays, it’s Tatsuya Oishi and his ridiculously exaggerated take on it in the original Bakemonogatari. It’s important to realize that while every quirk has an individual source, the industry has been shaped by constant mutual influences. Many idiosyncrasies only became noticeable because groups of people who worked together often allowed them to spread amongst their crew, each of them taking it a bit further and giving it their own spin. It’s like an infectious benign disease! 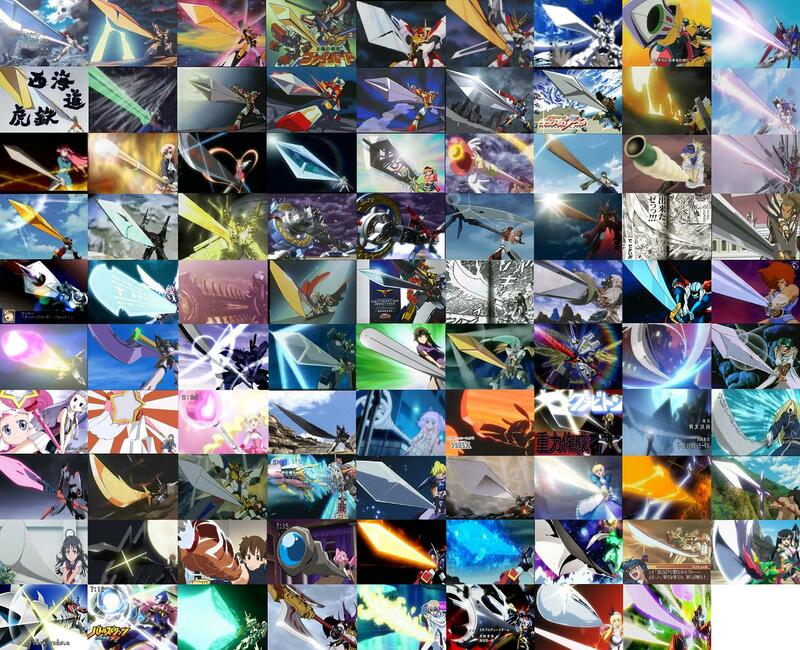 As for other idiosyncrasies attributed to studios, one of the many names for the Obari Pose in Japan is the Sunrise Stance (サンライズ立ち), simply by virtue of its prevalence within the studio’s works (particularly the Yuusha series) that he was involved with and later carried the spirit of. More recently, western fans have come to associate many of Yamada Naoko’s directional quirks with KyoAni as a whole. KyoAni Strong? Yamada. KyoAni Jazz Hands? Yamada. The good mouth covering? Yamada, but now she’s self-inserting. There’s an unfortunate trend of wanting to personify studios over understanding the minds behind each work, but hey, that’s what this blog’s for! Let’s ignore the existence of the so-called Gainax Bounce while we’re at it. The other day I was rewatching the first two arcs of Monogatari, and during the backstory parts (particularly Ep.2 and Ep. 5), the style completely changed: shading, visuals, colors. Is it safe to attribute this moments to the overall vision of Tatsuya Oishi or just the people directly in charge of Episode Direction/Storyboards? They’re Nobuyuki Takeuchi episodes, and he had a massive role defining Monogatari’s world as its visual director in Bake. Been a while since I rewatched Bake but might be more his thing than Oishi’s. Huh? Weird? I’m your patron but I didn’t receive any message/ remainder to send questions this time. Never mind though. Great posts as always guys. Send them away if you want, we actually didn’t ask for more yet because we’d built a healthy backlog. We were going to request more next week after depleting that but you can do it anytime really. Thanks Kevin, if you are about to request more next week then I’ll wait until then. There’s no rush in my end, but yeah, I do have some questions to shoot. I suppose these “idiosyncrasies” are things that are perfectly normal to find in storyboards, just more often than not in some than others due to said influences, but it’s a level away from, say, “special moves” like the ever-famous Itano Circus?